It's taken me far too long to get around to writing this review, and I apologise. Blame it on business trips to Vancouver and to Chicago, with very little time in-between. Though it's allowed me to listen to the album over a few weeks... and it's well worth listening to again. More prog-rock than metal (even though they were awarded "best metal band" in the Sammies in 2012), Zeroclient are one of my favourite local Sacramento bands. With intricate blending of heavy drums and bass, and adventurous guitar, and they have a strong local following, and the release of their first album, Omnia, was eagerly awaited and launched at a show at Sacramento's Assembly, a few weeks back. The songs on Omnia are well into the length of your typical "prog" offering, with Beyond the Horizon, one of my favourites, lasting almost eleven minutes. Not that the length of a song should pigeonhole anyone into one musical genre or another, it's just big deal for a young band's first full-length album release, and something pretty unusual for a local band to step up and play live... which they do, to much applause. Time for a wider audience, I think... national tour next? Zeroclient are Arnold Pena (lead guitar), Brian Vees (vocals, guitar), James Wolf (bass) and Cameron Ellis (drums). You can find (and buy) Omnia on Amazon, iTunes, and listen to it through Spotify and Pandora. Find the band on Zeroclient's Facebook page, on Twitter as @zeroclientmusic, and on the web at http://zeroclientmusic.com. 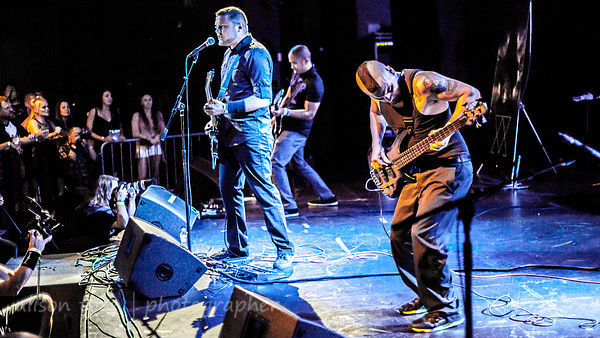 Photos from a couple of recent Zeroclient shows are in the Toon's Tunes Zeroclient gallery.